What can top becoming a hotel Revenue Manager just upon graduating from Vatel? Perhaps becoming a Revenue Manager for three hotels? 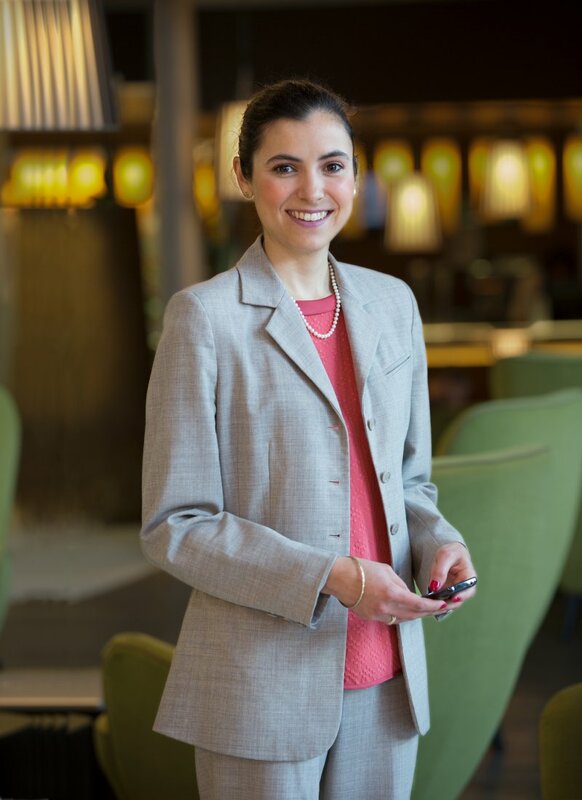 Emeline Laucagne, an MBA Vatel Valedictorian, was recruited as the Revenue Manager for three Novotel Hotels in Paris. She’ll tell us about her job. Emeline, in the 2013 MBA Vatel Valedictorians interview, you told us about how you enrolled in Vatel: “I enrolled in Vatel Lyon directly in the Foundation Year after having graduated with a two-year vocational degree in International Commerce.” Why did you make this decision? I was thinking about working in Hospitality even before I did my International Commerce degree. Thanks to Vatel, I was able to use the general knowledge that I learned during my vocational degree. I was attracted by this dynamic activity where you are constantly in contact with others and where you can work any place in the world. This is an ever changing and constantly innovating environment. It calls upon many profiles and skills.
" Vatel allowed me to discover this sector, its codes, its history and stakes, plus allowing me to participate in several internships and meet fascinating people." Could you tell us more about these internships? “I did my internships in the Aghadoe Heights Hotel in Ireland and in the Royal Monceau Raffles Paris.” What did you learn from this? I learned a lot from both of these internships. From both a technical and a human point of view. My Irish experience was very “hands-on.” This operational job confirmed that I loved working in hospitality and also allowed me to expand my managerial know-how at the same time I was getting more fluent in English. My final internship at the Royal Monceau allowed me to hone my professional projects and specialize in Revenue Management. This was a huge challenge as the hotel was just opening. Plus it’s a luxury hotel, meaning it has very discriminating clients. And you finished by saying: “In less than a week, I learned that I was the Vatel Lyon 2013 Valedictorian and that I had been hired as a ‘Multi-Hotel Revenue Manager.’ Then you give us your personal definition of a RM: “My mission will consist in maximizing the hotel’s turnover by acting on determination of rates and on the available capacity, depending on forecast demand.” Has your vision of this job changed since then? This is a general definition of the RM job. Missions of course then have to be adapted to each hotel depending on their needs. A Revenue Manager can also be responsible for other jobs, especially in Distribution and work in other departments, in particular in Sales and Reservations, for example. But the aim remains to optimize hotel person-nights, in predefined periods, while protecting the guests who contribute the most. Vatel Lyon offers the fifth year MBA Vatel specialization in “Revenue Management.” Would you have chosen it in your fourth year, or wasn’t your professional project ready then? I might not have chosen it because then I was hesitating between RM and Finance. What advice could you give to fourth year students who are wondering what this Revenue Management specialization is? To help students make a choice, I’d advise them to meet a Revenue Manager in a hotel to get a better idea what this job really entails on a daily basis. We’re no longer in an operational hotel environment and are more focused on a world involving figures and Excel spreadsheets, which isn’t necessarily everyone’s cup of tea. Could you tell us more about the Novotel brand and the hotels you work for? What are your daily activities? These hotels have individual guests and groups, mostly for business during the week and for vacation stays on the week-end. Each one is very different and has a different context. Working for three hotels is very enriching. I also work on indirect distribution and put in place some contracts that I follow with various partners. This job I’m doing now was created. I really like it and I have quite a few things to learn yet and put in place. I’m always learning something new, at many different levels. "This is a really exciting job that is constantly changing." Working for hotels that are part of an international group allows you to learn more and gain more skills, as you are always in contact with many different co-workers. In the longer term, I would like to remain in the hotel management field, probably in other jobs and work internationally.